Spring is the best time to enjoy the thrill of quad trips and to observe local Karelian nature waking from a long dream under a soft snow blanket. First leaves appear on trees, rivers flow faster, and Kivach Waterfall, the second highest waterfall in Europe, is the most affluent and picturesque during this time. 08:55 Arrival in Petrozavodsk from Moscow. Meeting with the guide. Transfer to the restaurant. Breakfast. Afterwards city tour of Petrozavodsk. Lunch in the restaurant. 13:00 Transfer to the quad ride starting point. Upon arrival getting equipped. After a short introduction on how to handle a quad and some exercising begins our adventure. Spring is the best time to experience an off-road ride and enjoy the Karelian wilderness. The first 10 km will go along dirt roads and forest trails and then we will reach the off-road area with some challenging sections such as waterlogged areas, uphill and downhill driving, and mud holes. 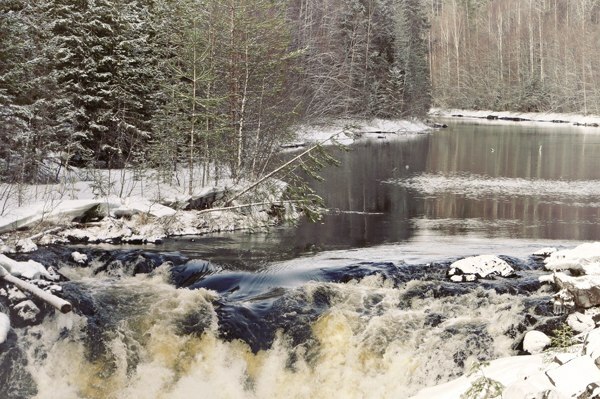 We will make a stop and enjoy the tranquility of Karelian nature and hot tea with sandwiches near the campfire. Before getting back we will enjoy a tea break in the magnificent Karelian scenery. Breakfast. Meeting with the guide in the hotel. Transfer to the Kivach Nature Reserve. 11:00 Arrival in the Kivach Nature Reserve. Excursion in the nature reserve. Kivach is the second plain waterfall in Europe, situated in the heart of the nature reserve. You will get acquainted with typical local flora and fauna in the nature museum and with rare plants like Karelian birch in the dendrarium. Free time to take pictures near the waterfall. 13:00 Lunch at a local cafe. Workshop on traditional doll-making. Dolls have always played an important role in the lives of local families. They were not only toys for children, but also were the symbol of the family, which protected each family member from misfortune. Such colorful doll will become a unique toy for your children and a nice souvenir from Karelia for you. 17:00 Arrival at the Petrozavodsk railway station.